The aim of the Fitmums & Friends 365 Challenge is to complete 365 miles or 365 hours of physical activity, or a combination of both, in 365 days. 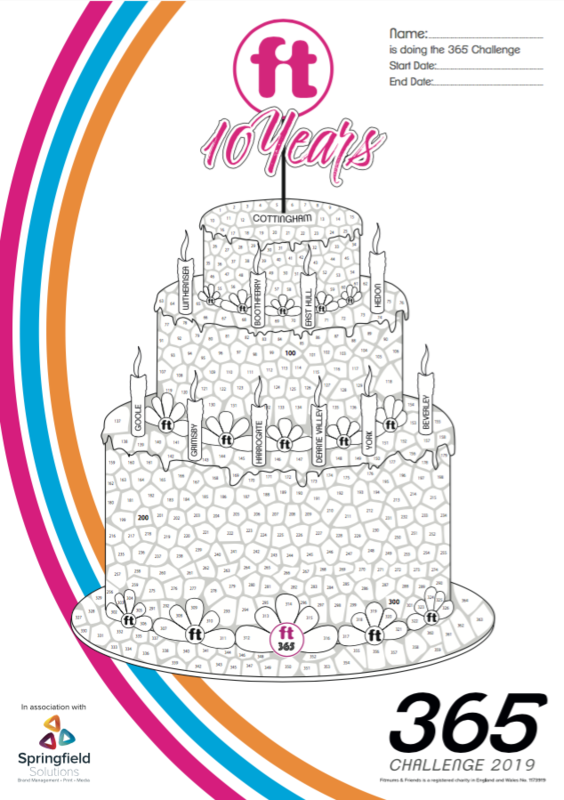 Any activity counts – running, walking, cycling or buggy pushing, gym/bootcamp classes, swimming, dancing, team sports, dog-walking, gardening, etc. 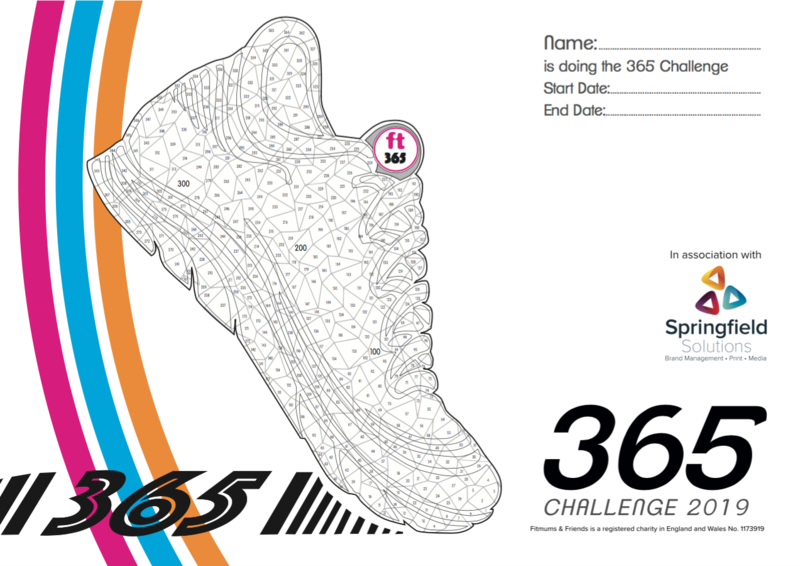 For each mile or hour of activity, challengers colour in a mosaic tile on a choice of activity charts (more about these below). For already active individuals, how many charts can you complete in 365 days?! You don’t have to start the challenge on January 1st – choose your own start date and aim to complete the challenge within 365 days. 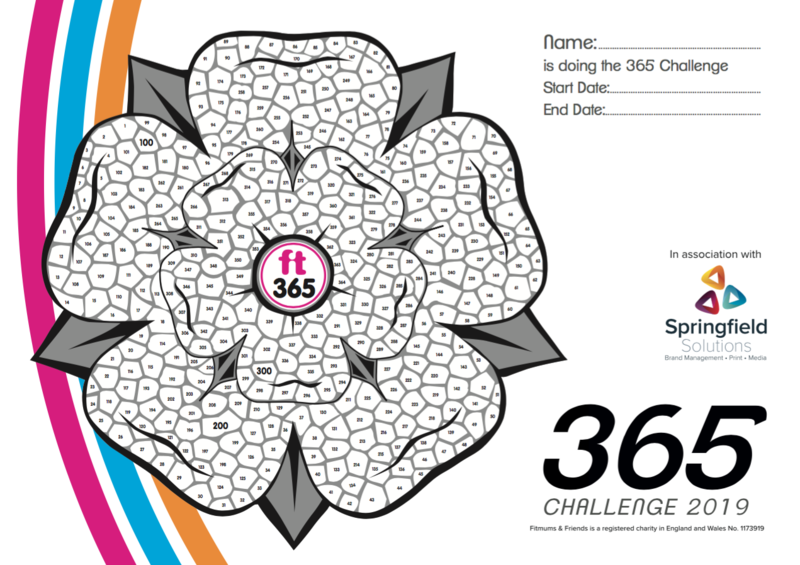 Let us know when you have completed your 365 Challenge by emailing a photo of your finished chart to 365@fitmums.org.uk and we will send you a beautiful medal! Donate the entry fee of £5 per participant via our online shop. Or pay by BACS using sort code 40-25-59 and account number 00130370; please put your name and "365" as reference if paying this way. Email us at 365@fitmums.org.uk with the following details: each participant’s name, age and address (so we can send you your medal! ); if you are a current Fitmums & Friends member, please tell us which club you are with; and which activity chart each person would like. Once we receive payment and contact details, we will send you an email with a link to a downloadable activity chart. Print this off – we recommend printing on A3 paper for best results but it will also work on A4 paper. Now you are ready to start the challenge. Your 365 days start from the day you choose. During your challenge, keep in touch with us via the 365 Challenge Facebook page. Post pics of your chart and tell us how you are getting on. We love to hear your stories and who you are inspiring! The 365 Challenge for Schools encourages all children to enjoy an hour of physical activity every day. This package is suitable for schools, sports clubs or other youth groups. The Corporate 365 Challenge gives organisations a simple but effective way to encourage staff to become more active, thus improving the physical and emotional health and wellbeing of its workforce. For more information on these packages, please contact 365@fitmums.org.uk.